Transportation, Venice how to get from the airport to venice, italian transportation, italian travel, italy travel, motoscafo, transport, travel, Travel ideas, Travel Tips for Italy, vacation, Venezia, Venice, venice water taxi, water taxi. permalink. Venice is a wonderfully unique city. 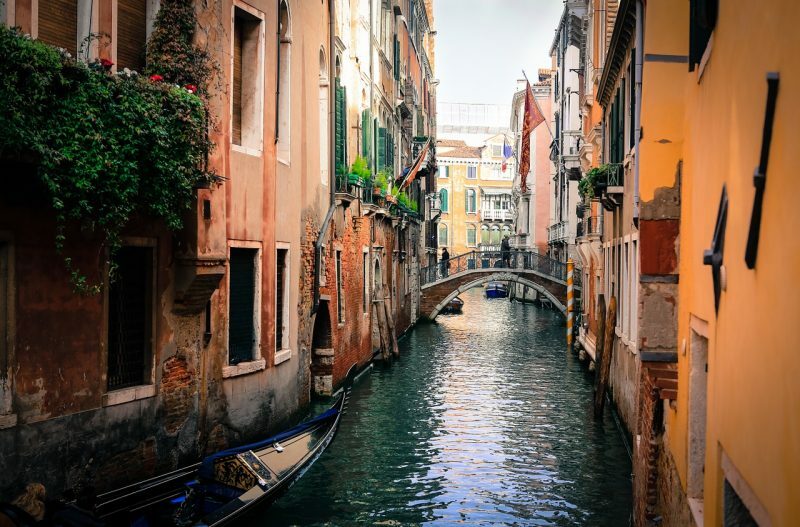 Its palaces, churches and restaurants line the dozens of canals that criss-cross the labyrinthine city as gondolas glide gently under the bridges that connect everything together. 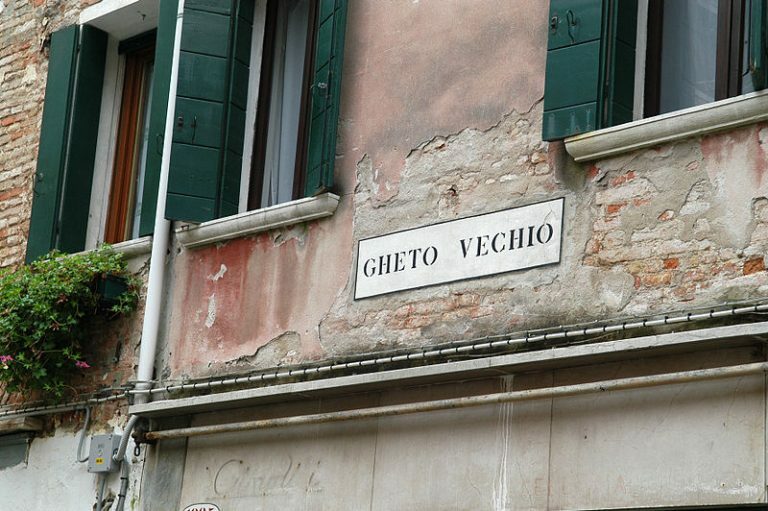 And people have been arriving in Venice for centuries; first as traders, then as nobles on their grand tours and now as visitors keen to explore this terrific time capsule. Originally the only way to reach Venice was by water as it sits out in the middle of the lagoon and today, despite the invention of planes, trains and automobiles, water is still the best, most evocative way to travel. Here are just 7 reasons why taking a Venice water taxi from the airport to your hotel is the only way to arrive! The water taxis of Venice are really the water limousines of the city. The classic wooden motorboats, known locally as a motoscafo, radiate luxury with their leather upholstered seating, private drivers and open-air seating to the rear allowing a unique view of the city as you arrive. If you’ve ever seen photos of Hollywood film stars arriving at Venice’s famous film festival, this is the way they travel and you can too, without the Hollywood price tag of course! The Venice Airport Shuttle offers a speedy and comfortable boat transfer service between Marco Polo airport and your hotel in the center of the historic city. And each boat seats between 10-12 people so it’s a really personal service. So how does it work? It couldn’t be easier to book your Venice water taxi with our travel experts before you leave home, making your arrival in Venice even smoother. Once you land and collect your luggage it’s just a short walk to the APT desk where friendly staff will direct you to your taxi waiting at the nearby canal side pier. 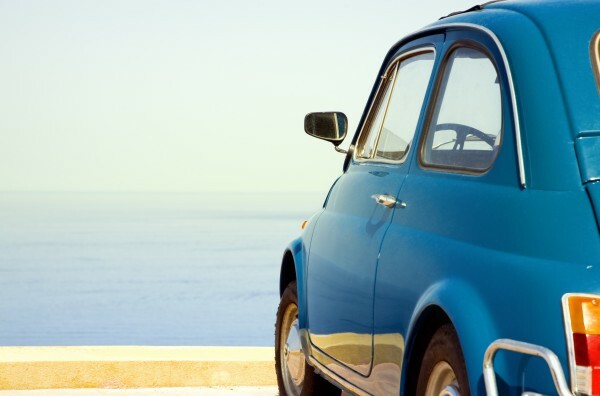 And its just as simple for your return journey so you can catch the taxi back directly from your hotel’s water door, or the nearest jetty, to the airport. Top tip : if you’ve got heavy suitcases, bag yourselves an airport trolley so you can glide coolly to the taxi pier instead of dragging your luggage along! One of the biggest advantages to taking a Venice water taxi is that they can go places other transport can’t, navigating the smaller canals and quieter districts of the city and pulling up to the water dock of any hotel that has one. So if you’re lucky enough to have a hotel on a canal, or within a short walk of the canal side then a water taxi is definitely the way to go. And even if your hotel isn’t directly overlooking a canal, the water taxi is still the best option as it will take you to the pier closest to your hotel cutting out a lot of walking and bridges. 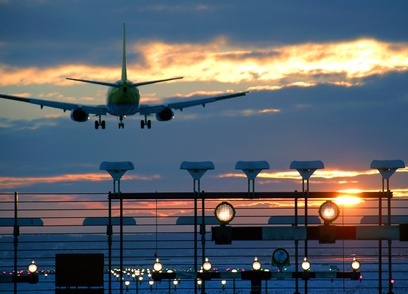 If you have a lot of heavy luggage, you’ll definitely appreciate the close drop off! 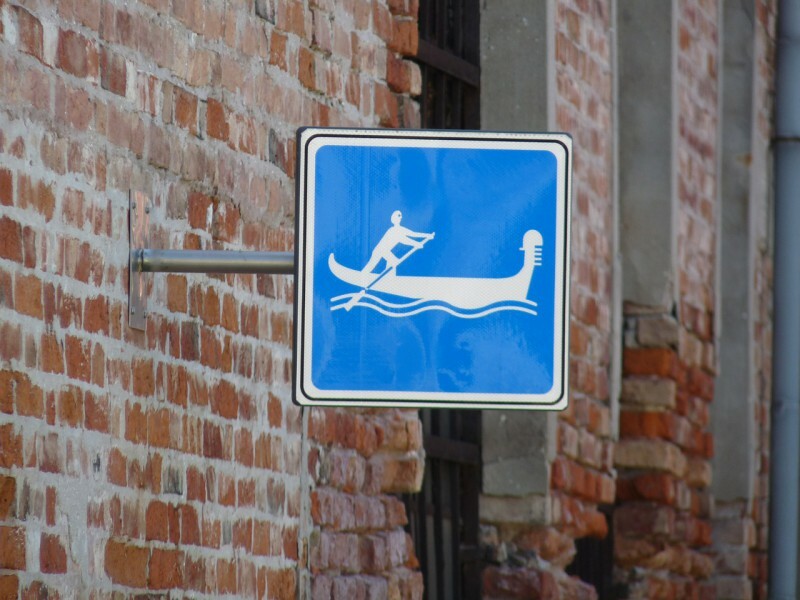 Although there is a speed limit to which all boats must adhere in order to protect the city from wave damage, taking a water taxi is definitely the quickest way to arrive in Venice. The sleek profile of Venice’s water taxis means that they can take shortcuts down secretive side canals, sneaking under low bridges to the inner reaches of the city. And as they’re not restricted to the larger canals like the local ferries, water taxis make better time allowing you to check in and go straight out to explore on foot much quicker. Note: a water taxi transfer normally takes around 25 to 30 minutes between Venice Marco Polo Airport and a waterside hotel in the city center instead of an hour or more on public transport. 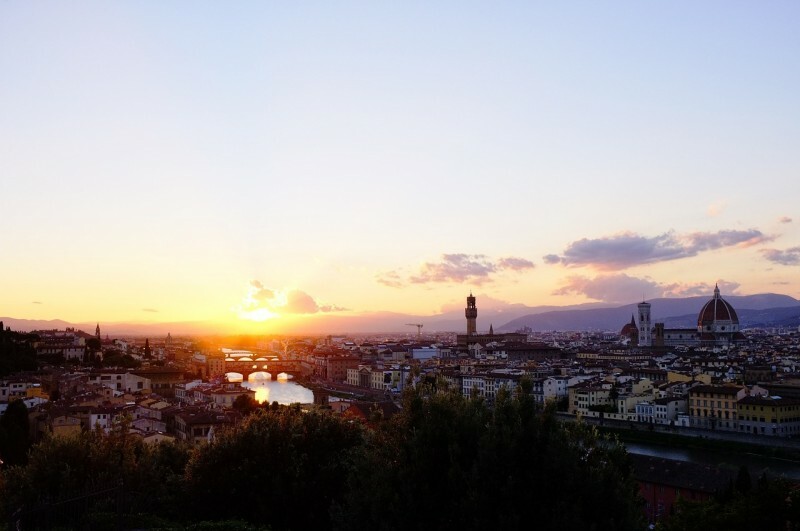 Every second counts when you want to get out to explore this spectacular city. Unlike other transport methods into the city center, taking a Venice water taxi is the easiest when it comes to managing your luggage. Once you reach the taxi pier your driver takes all the hassle out of loading your luggage on-board and keeping it secure during the journey. So instead of having to wrestle heavy bags yourself you can just hop on-board and sit back to admire the views. And the same applies at the hotel so you arrive relaxed, rested and ready to explore. People have been arriving in Venice by boat for over a thousand years. In fact, until the 1860s when the railway arrived, water was the only way to reach the lagoon city as there were no bridges connecting it to the mainland. So whether you were a visiting dignitary, returning duke, trading merchant, sailor or simply visiting this glorious city everyone had to arrive in Venice by row boat. Today motorboats have been added to the Venetian fleet but arriving by water is still, without question, the most authentically Venetian way to travel. And as little has changed in the skyline over the years, the view you’ll see as your Venice water taxi approaches is practically identical to what you would have seen 200 years ago! That’s the magic of Venice! Arriving in Venice by water taxi has many practical advantages but possibly the best aspect about it is the unique perspective you’ll get on the mesmerizingly beautiful city. The motor taxis sit low in the water and the city itself is quite low-lying with few buildings more than 5 or 6 stories high. So as you leave the airport, it takes a while for Venice’s skyline to slowly appear on the horizon, its bell towers sharply piercing the sky. And even once you reach the historic center, your view of the palaces, houses, smaller canals and bridges will be completely different too, seeing them from below just as visitors have done from the city’s characteristic gondolas for many hundreds of years. It may not sound like much, but the lower vantage point definitely gives you a more impressive perspective and a great introduction to the magical, mystical city. 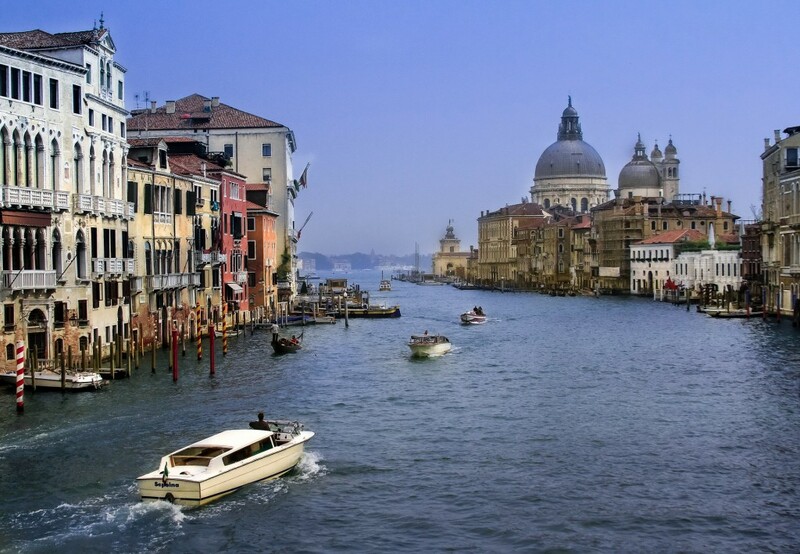 Taking a vacation to Venice is an exciting prospect. Its streets, canals and palaces have centuries of stories to tell and seductive secrets to reveal. But for many who visit, it’s the first view of the city, and particularly her canals, that remains in their memory the longest. And arriving by Venice water taxi will certainly give you an absolutely unforgettable experience, watching as the city slowly appears on the horizon, listening as the sound of her church bells gently wafts over the water and finally stepping onto the canal side pavement where Casanova, Vivaldi or Titian could have walked. Moments like this last a lifetime. However you get to Venice you’re guaranteed to have a truly fabulous trip exploring the uniquely distinctive city. There are no cars, buses or lorries in the historic center, just boats so it makes sense to start as you mean to carry on by getting a Venice water taxi from the airport to your hotel. Our friendly helpful travel experts are on standby to help with your booking ensuring the smoothest, quickest and most picturesque transfer possible. And don’t forget to leave us a comment to let us know what else is on your Venetian wish list before you set off! 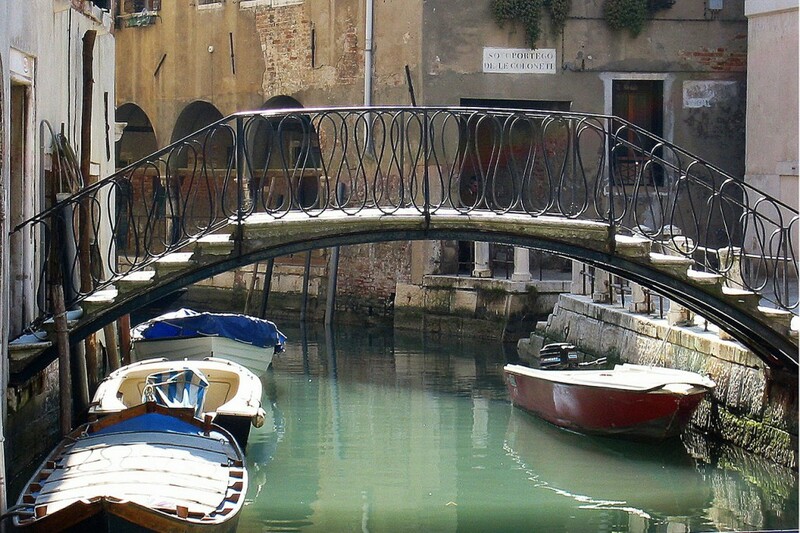 In the meantime, buona vacanza a Venezia, have a wonderful vacation in Venice!